I have admired Anne Tyler for many years, and have waited patiently for long periods for her next book. I reviewed her latest novel, Spool of Blue Thread, last October, but I was thrilled when a second book came out this June. Vinegar Girl is part of a project by the recently revived Hogarth Shakespeare, which aims to see the Bard of Avon’s works retold by acclaimed novelists. Some other titles include The Tempest by Margaret Atwood, Othello by Tracy Chevalier, and The Winter’s Tale by Jeanette Winterson. I am going to assemble this collection after my thoroughly enjoyable experience with Tyler’s contribution to the series..
Kate Batista lives with her younger sister, Bunny, and her father, Louis, who supervises a lab for research at Johns Hopkins University. Kate is an independent woman to say the least. She has finished college, but her only job is at a childcare center. One day, her father calls her at home, and asks her to bring his lunch, which he had deliberately left behind. Louis has a brilliant lab assistant, Pyotr, whose visa is about to expire. He tries to hatch a plan to marry him to Kate so he can stay in the U.S. Kate leaves the lunch and attempts an exit. Tyler writes, “‘What! You’re leaving? Why so soon?’” // But Kate just said, ‘Bye” – mostly addressing Pyotr, who was watching her with a measuring look – and she narched to the door and flung it open. // “‘Katherine, dearest, don’t rush off!’ Her father stood up. ‘Oh, dear, this isn’t going well at all. It’s just that she’s so busy, Pyotr. I can never get her to sit down and take a little break. Did I tell you she runs our whole house? She’s very domestic. Oh, I already said that. And she has a full time job besides. Did I tell you she teaches school? She’s wonderful with small children.’” // “‘Why are you talking this way?’” Kate demanded, turning on him. ‘What’s come over you? I hate small children; you know that.’” (17). Later on, Tyler writes, “At Quiet Rest Time she sat behind Mrs. Chauncy’s desk and stared into space. Ordinarily she would have flipped through Mrs. Chauncey’s discarded newspaper or tidied up some of the more clutter-prone play areas – the Lego corner or the crafts table – but now she just gazed at nothing and racked up points against her father. // He must think she was of no value; she was nothing but a bargaining chip in his single-minded quest for a scientific miracle. After all, what real purpose did she have in her life? And she couldn’t possibly find a man who would love her for herself, he must think, so why not just palm her off on someone who would be useful to him // It wasn’t that Kate had never had a boyfriend. After she graduated from high school, where the boys had seemed a little afraid of her, she’d had a lot of boyfriends. Or a lot of first days, at least. Sometimes even second dates. Her father had no business giving up on her like that. // Besides, she was only twenty-nine years old. There was plenty of time to find a husband! Provided she even wanted one, and she was not sure she did” (75). A fun read with lots of comedy and some semi-serious plot twists. 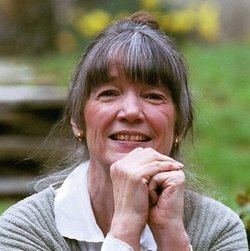 Anne Tyler is a great writer and I recommend Vinegar Girl or any of her novels. 5 stars.